recommended for: Fans of Caraval by Stephanie Garber, Coraline by Neil Gaiman, and other dark, atmospheric fantasy. Despite my long-standing carnival craze, I almost didn't pick up Daughter of the Burning City. I've been burned by Harlequin Teen before. Boy, am I glad my friends wanted to wait in that line. Daughter is a quirky, dark fantasy mystery that combines secret societies, serial killings, political intrigue, and performance. I haven't heard of any sequel news yet, but I'd love to return to Gommorah. This book's success for me hinged on its atmosphere. Foody draws a world straight out of a dark carnival, a circus city with markets and brothels, with its own games and traditions. To be sure, there's almost too much depth to the city's story, as though Foody had a thousand ideas and tried to shove them all into this one book. Legends, lucky coins, history, jynx work. But even when I was frustrated to know more, I wanted to know more. The depths of Foody's imagination are filled with magic, glitter, and blood. While the volume meant that some details were underutilized, the upside is that Gommorah came alive for me. Foody's language weaves a beautiful portrait with a sinister undertone you can feel in your blood. It's a little clumsier than Caraval, but hits similar notes. There are also hints that this is a darker world. People pay to try to kill an invincible boy. The murders are described in grisly detail. The whimsy here has a knife edge that I savored. Embedded in this glittering tapestry are fascinating characters. Love American Horror Story: Freak Show? Think of a more magical, less perverse take. 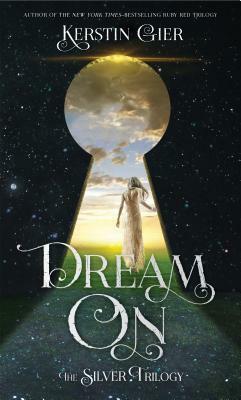 Sorina is a compelling heroine, likable and clever, if not a little reckless for her own good. Luca, her demisexual love interest, is delightfully snarky to a fault. There was so. much. banter. I'm not sure how good the demi rep is, but the relationship between them had enough ups and down to feel plausible for a short amount of time. I would have liked a little more play from Villiam and the illusions. We get slices, but given their importance, we have to care about them mostly because Sorina does, without strong impressions of our own to go by. The best part is the premise. Sorina can make illusions that function quasi-independently. But someone is, somehow, murdering them. Foody even gives us glimpses into the serial killer's notes. Even when the plot flagged or the dialogue became wooden, the core story kept me fascinated. It's just such a cool concept, something I've never come across before. And the final twist--dear god, I didn't see it coming and probably there should have been more foreshadowing but also it was so startling and satisfying. Unfortunately, it was just too thin in places to be a perfect read. The plot sagged in the middle. Or maybe it was just the pacing that made me feel disconnected. Foody skipped over a lot of scenes and alluded to them having happened, which yanked me out of Sorina's head. I wanted to see those scenes for myself! I wanted the key emotional beats! The subplot of Sorina stealing to get medicine for her adoptive mother disappeared without much warning, and the adoptive mother was a little too absent. There were also some details that just lacked, preventing this from being a five star read. First of all, we get a few slices of Sorina's freak show act, but we don't really get to see any of the other performances! In a giant circus! It was a missed opportunity to make Gommorah a more solid world. The surrounding countries were a similar thing; while I loved the role they played in the plot, they felt a little cardboard to me as real places with real people and cultures. There's so much potential in this world, and not enough space for it to be explored thoroughly. On the whole, Foody's debut is a promising prelude to an illustrious career. You can see her newness in the clumsiness of her structure, in the sometimes stilted quality of the writing. But there are also moments of searingly perfect description and an atmosphere so darkly seductive it gives you goosebumps. She's imaginative to a fault, and her sardonic wit pervades her words, pulling you into her world. I'm dying to see what she can accomplish as her skill and confidence grow. 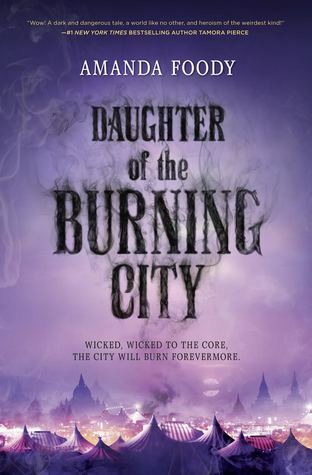 Daughter of the Burning City is a darkly beautiful carnival story that is both fantasy romance and murder mystery, and all thrilling. will i read this author again? Yes! Her Ace of Shades book sounds scintillating. will i continue the series? I kinda really hope there's more.